In an interrupted session, Audi Sport ABT Schaeffler driver Lucas di Grassi kept his cool and ended the session in P1, ahead of Pascal Wehrlein and Sam Bird, while Sebastien Buemi might miss out on FP2 following a collision with the barriers. 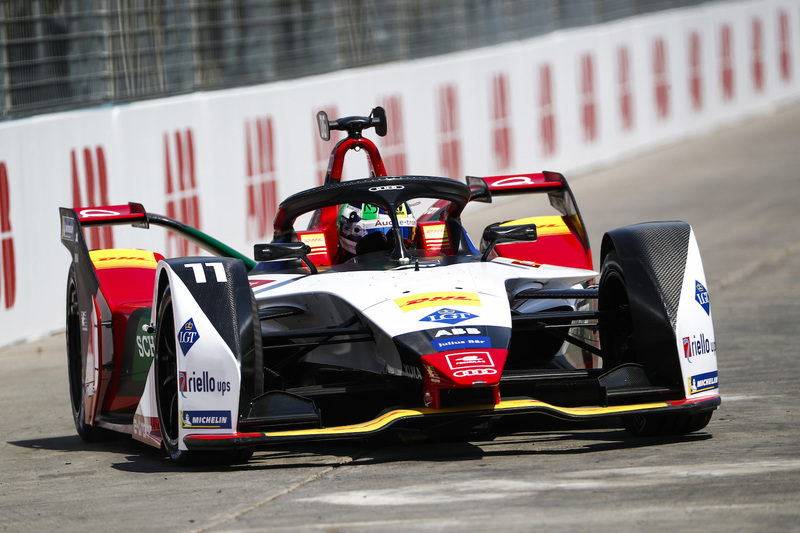 The ABB FIA Formula E squad is back in Chile for the second time – and the 22 drivers were quick to head out onto the tricky streets of Santiago, with the Audi Sport ABT Schaeffler duo leading the pack into an action-packed session. While Bird (Envision Virgin Racing) quickly established himself on top with a solid 1:13.364, GEOX DRAGON driver Maximilian Günther suffered from technical problems with his car, stopping and restarting his car on track several times. In front, reigning ABB Formula E champion Jean-Eric Vergne (TECHEETAH) snatched the lead from Bird – but only for a handful of moments, before di Grassi (Audi Sport ABT Schaeffler) went even faster with a 1:11.357. Nevertheless, both the hunt for the fastest time and the chance to get to grips with the challenging track came to an abrupt end with about 30 minutes still to go as a red flag caused by Nissan e.dams driver Buemi interrupted the session. The Swiss hit the barrier coming into turn 7 and catapulted himself into the wall, thus ending his FP1 outing prematurely. With the session stopped, the drivers returned into the pits. As the recovery of Buemi’s car meant the other 21 drivers would lose a lot of time on track, race control decided to prolong the session by ten minutes, meaning the teams still had 25 minutes of action left once the session was restarted. 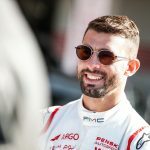 With twelve minutes still to go, it became clear that Santiago might just turn into an Audi-festival, with Robin Frijns (Envision Virgin Racing) leading the pack with a 1:09.821 ahead of teammate Bird, di Grassi and Daniel Abt (Audi Sport ABT Schaeffler) – all four propelled by an Audi powertrain. Nevertheless, the quadruplet was then disrupted by Edoardo Mortara (Venturi Formula E) who established himself on P2 and Gary Paffett (HWA Racelab) who took a surprising P3. Once the ten-minute-mark was reached, the first drivers decided to try their hands at a full-power, 250kW laps, mixing up the order immensely in the process. In the end, it was di Grassi who topped the timesheets ahead of a strong Wehrlein (Mahindra Racing) and Bird. 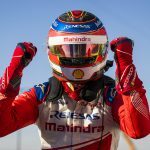 The top ten was then completed by Frijns, Vergne, Antonio Felix da Costa (BMWi Andretti Motorsport), Oliver Turvey (NIO Formula E), Andre Lotterer (TECHEETAH), Abt and Marrakesh E-Prix winner Jerome d’Ambrosio (Mahindra Racing).